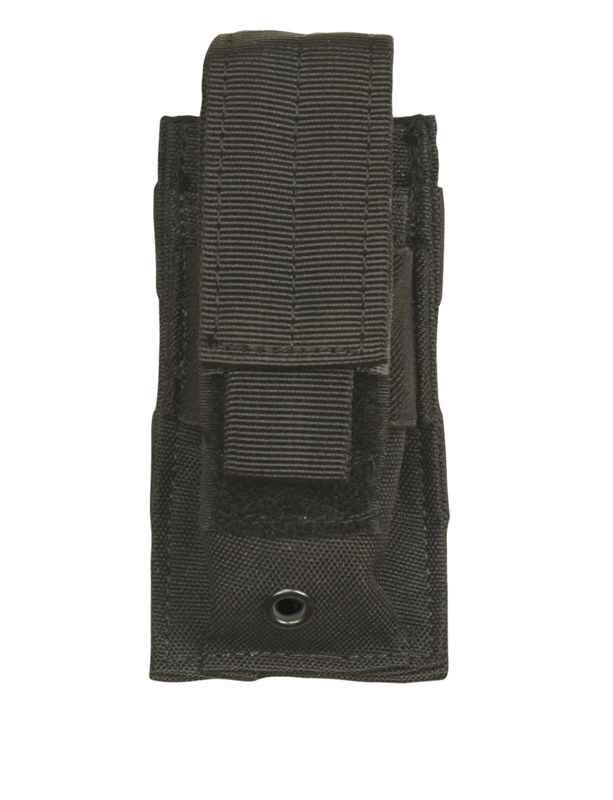 The 5ive Star Gear® MPS-5S Single Pistol Mag Pouches are made with a rugged and durable ballistic weave material. These pouches were designed to hold a single 9MM or 45 Cal. pistol magazines, but can also be used as a flashlight, knife, or small tools pouch. The pouch is modular and attaches by reinforced universal straps to vests, packs, range bags, or other equipment.